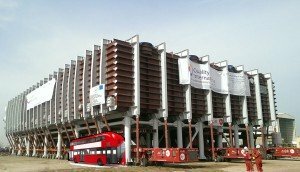 Sharjah-based process equipment manufacturer Quality International, has shipped its third massive Multi Effect Distillation (MED) evaporator unit to Kuwait for the first phase of the Az-Zour North Independent Water & Power Project, one of the largest power and water production projects in the Middle East. 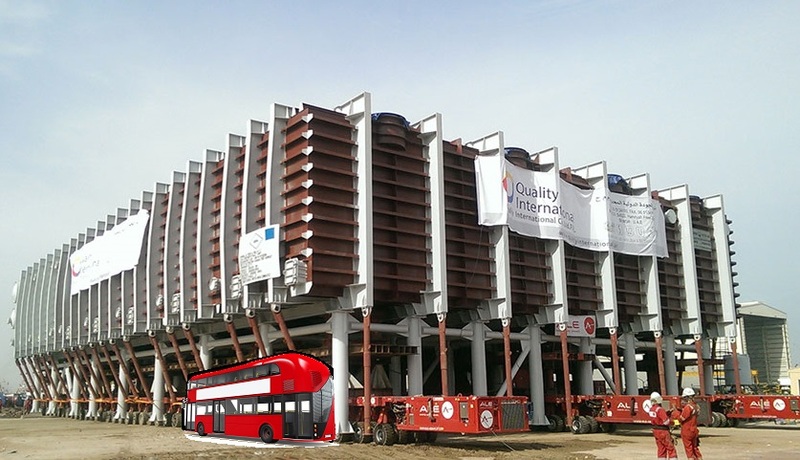 According to the manufacturer, the MED Evaporators for the project are the largest of their kind ever be constructed in a yard and shipped to a project site. Made at the Quality International’s facilty in Sharjah’s Hamriyah Free Zone, each MED Evaporator weighs 2,750 metric tonnes and measures 54 metres long, 33 metres wide x 17 metres high. 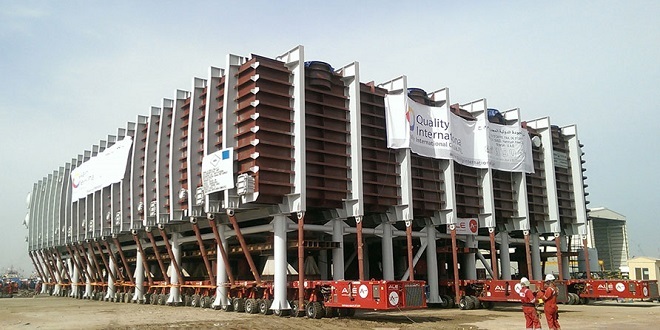 The company has now shipped three of the six MED evaporators ordered by French contractor Sidem, one of the partners in a US$ 1.4 billion (AED 5.1b) engineering, procurement and construction (EPC) contract to build the first phase of the power project. Sidem is constructing a 107 million imperial gallons per day (486,000 m³/d) multi-effect distillation desalination plant on a turnkey basis. Quality International, which employs 1,750 people, has 250,000 square metres of manufacturing area at Hamriyah Free Zone, adjacent to Hamriyah Port. The facility’s waterfront location, coupled with the port and free zone’s world-class infrastructure, allows the company to ship very large size equipment units. The manufacturing facility has produced equipment for global buyers in the Americas, Asia, Australia, Europe and across the Middle East. The capacity of Az-Zour North, which is being built in five phases 100 km south of Kuwait City, will account for around 10 percent of Kuwait’s installed power generation capacity and around 20 percent of its installed desalination capacity. The Kuwait Authority for Partnership Projects (KAPP) is expected to tender for the construction of the second phase this year.